Le sigh. Can Millie Bobby Brown be any cuter? The pint-sized Stranger Things actress may have skyrocketed to fame thanks to the wildly popular Netflix series, but that doesn’t mean she doesn’t have time to hang with #squad or wish them a happy birthday! The 12-year old star posted an adorable Instagram post dedicated to her BFF, Dance Moms star and Sia video prodigy Maddie Ziegler, wishing her the happiest of all birthdays. Awww! These two are the most adorable BFFs ever! Maddie and Millie (which by the way, sounds like the greatest name for a talk show EVER) recently spent the day at Universal Studios together and looked like they were having a blast! Could they be any cuter??! Butter beer! 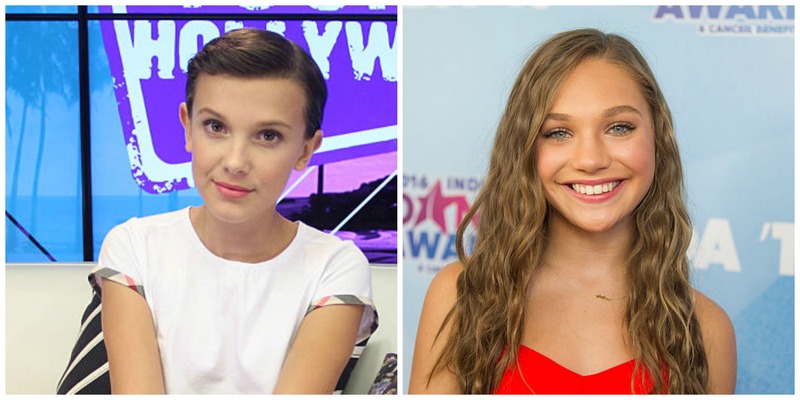 Millie and Maddie may be the coolest new girls in Hollywood! They recently invited America’s Got Talent winner 12-year old Grace Vanderwaal to join their girl group as well, and we have to say we’re pretty jealous! This is one serious #girlpower squad and we’d love to join! Ahem, so if y’all have any more in there for us, let us know!